Mr Taylor has recently moved to a new house in Canterbury. 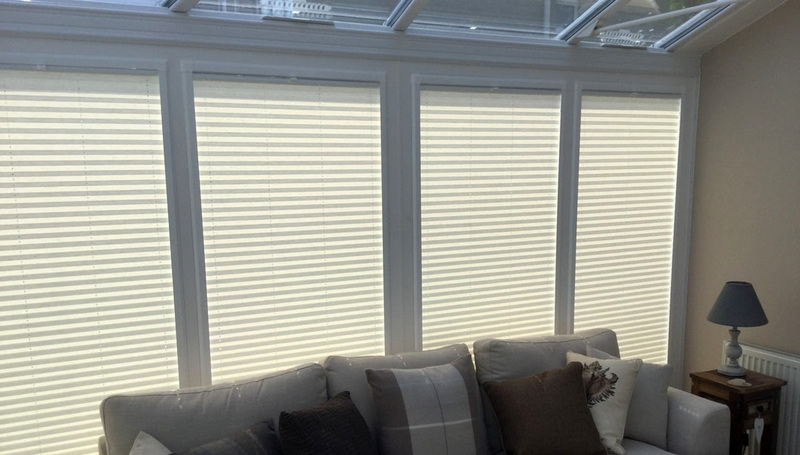 As he has white UPVC windows throughout his home he was particularly impressed with the new Louvolite Perfect Fit® blind system for which Goldsack Blinds & Ltd is an approved supplier and installer. Perfect-Fit is a revolutionary window blind fitting system which facilitates blind installation to double glazed windows and doors without needing to drill and screw into the frame or surrounding plasterwork. Mr Taylor decided on both Perfect Fit® Roller and Pleated Blinds, for his Bedrooms, Lounge, Office, and conservatory. He also opted for the new louvolite one touch rechargeable remote control roller for a high level window on his staircase.